Only the name of the pack, the 2 Jokers and a motif on the four of couns, have Gaucho connotations: the style is a fantasy based on the ‘Parisian’ Spanish pattern. 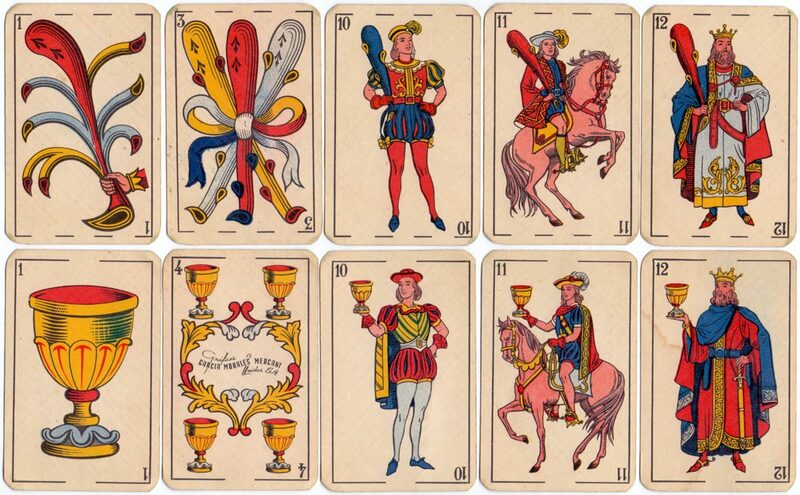 However, in some respects the court cards are closer to Fournier’s Castilian pattern than to Gauchos, especially the Kings. 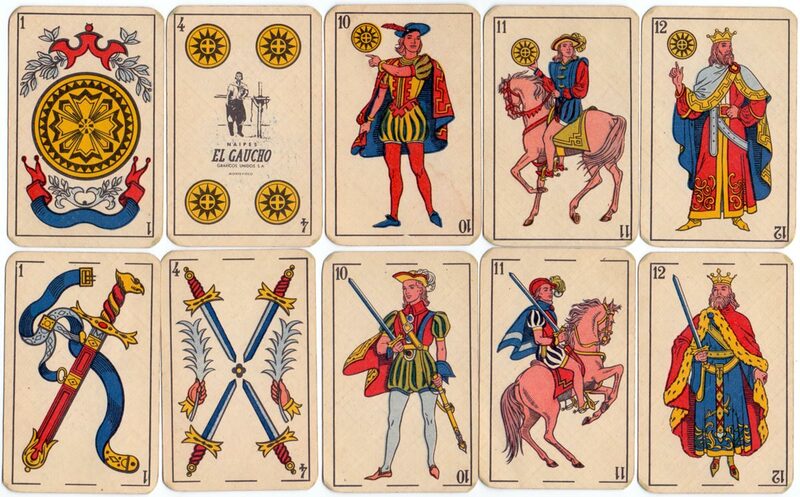 Gráficos Unidos S.A. was succeeded by Cervantes S.A. in the 1970s who continued to produce Naipes “El Gaucho”. 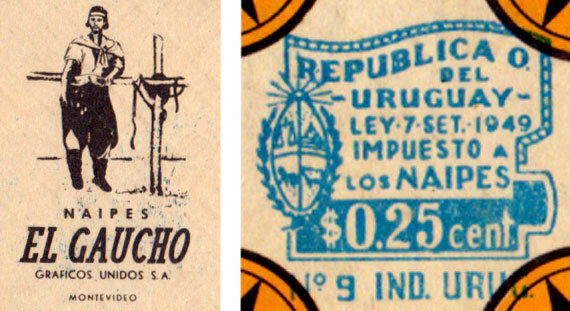 Above: Naipes “El Gaucho” Manufactured by Gráficos Unidos S.A., Montevideo, c.1955-60. 48 cards + 2 jokers in box. Gráficos Unidos also produced Naipes “Gamo”, “Fútbol” and Naipes “Cabure”.